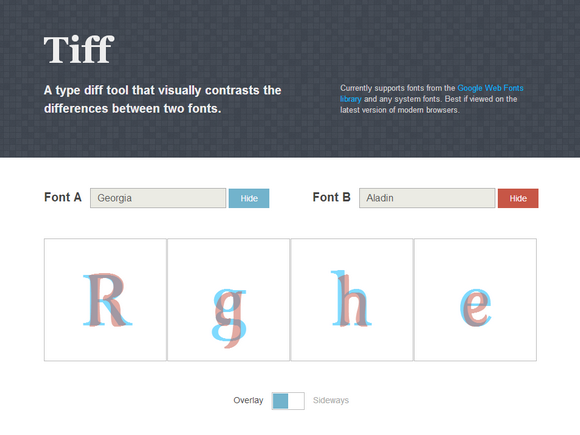 Tiff is a typeface diff tool that visually contrasts the differences between two fonts. It’s a tool to help comparing two fonts while learning about typography. At this point, Google Web Fonts serves as the only source of external fonts for Tiff. Since the app uses some features only available in HTML5 and CSS3, use recent versions of modern web browsers for maximum compatibility.